One of the old flak frigates whose predecessors first found use during the First Cylon War, the Nadiv class was not designed and produced until about ten years after the Armistice was signed. CF-1198 Corsair — forty-eighth in her class of forty-nine — is a little over twenty years old, and she lacks the computing power and conduit tubing required to utilize the newest navigation software. 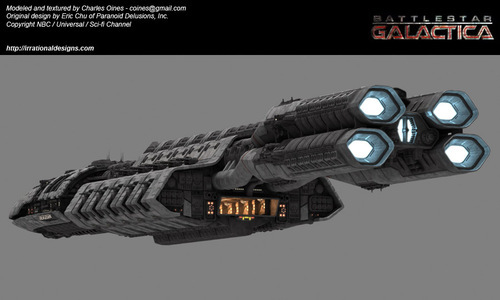 Thus, Fleet Command chose to redirect all her power into her DRADIS systems, now among the most powerful in the Fleet. 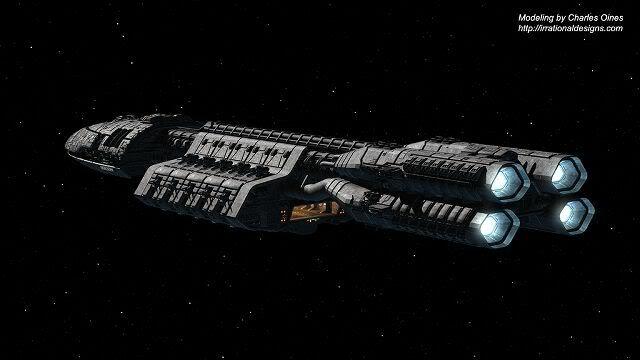 The EXtreme LOng-RAnge DRADIS (EXLORAD) system provides triple the effective coverage of the standard battlestar unit, allowing her serve as an early warning ship and occasional scout. However it also has the capability to coordinate task force operations some distance away from the flagship. In addition to her sensor capabilities, the Corsair also possesses an impressive number of anti-aircraft guns, not to mention twenty anti-ship guns and respectable set of six heavy cannons. But all that firepower comes at a heavy price: the 2,300-foot ship requires nearly all of her 988 crewmembers to run and reload her guns. N.B. 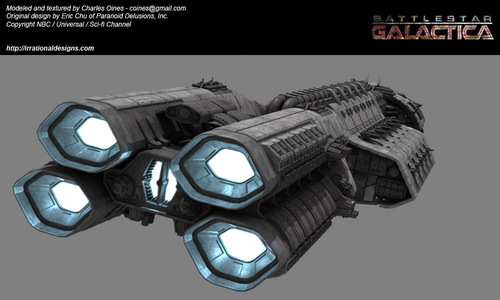 : For reference, the Galactica has more than 500 dual PD flak cannons — double the coverage for twice the ship size. COL Xander Ionis, CO Xander was selected by Laughlin to follow him to Praetorian, where he served as Executive Officer. The man is generally known as a reserved individual — though he can seem out-going in comparison to his commander. Well-suited in terms of temperament, it's easy to see how the two men have worked together for so long…and why so few people on Cerberus have ever met either of them. 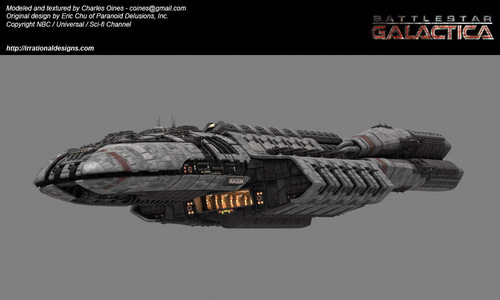 This has not changed since Ionis was transferred to the Corsair and made Commanding Officer after Pewter's relocation to Cerberus. 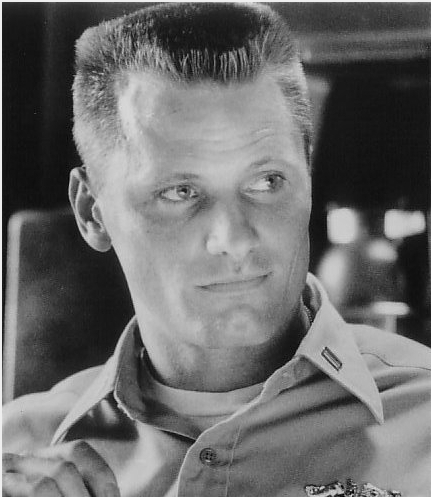 Colonel Ionis is played by Viggo Mortensen. MAJ Cornelius "Corny" Sotter, XO Sotter, to put it lightly, LOVED his job as Chief Weapons Officer. The bane of Major Barto's existence, this man seemed to be in a irrevocably good mood. While few people would put a Weps post on a frigate at the pinnacle of their career goals, Corny had done just that. To ask him if he ever wanted to leave would be like asking the C-Bucs to win two games in a row — lots of confused looks and refusal. So his sudden promotion to Executive Officer did not go over as well as these things generally do, and while he does his job, Corny never misses an opportunity to make clear how much he misses his beloved Weps post. 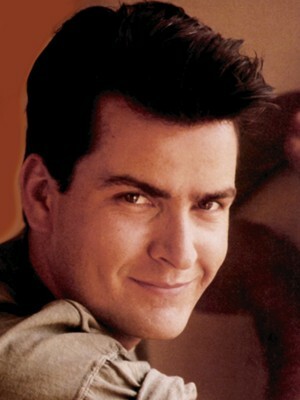 Captain Sotter is played by Charlie Sheen. COL Andrus Pewter, CO At 48, Colonel Pewter is an experienced sailor who's earned a pension through a lot of hard work and time on deployments. Quite a few expect the Corsair to be his final command before retirement but this slightly-overweight and happy gentleman doesn't seem to mind. With a grandchild at home he's been trying to meet for the first time, he can't wait to finish out this cruise and begin his life after the military. 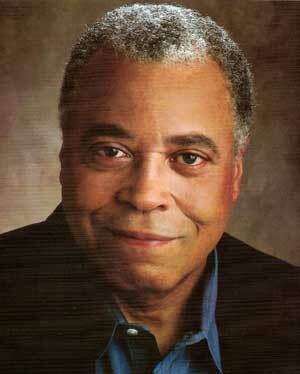 Colonel Pewter is played by James Earl Jones. (KIA) Major Barto was killed during Operation Cobra Talon, which she was commanding at the time. 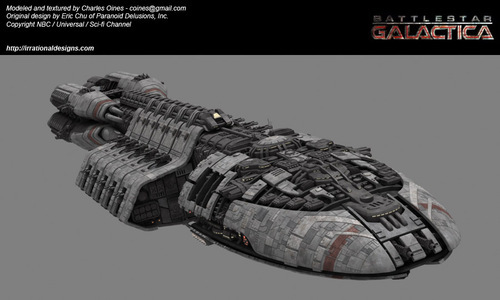 When a Raptor crew jumped back to CFAS Anadyomene and a Heavy Raider turned to engage it, Barto fled cover to put fire onto the Raider in order to try and distract it from the Raptor - which she was unsuccessful at. After the Raptor crew ejected, she was able to distract the Raider to prevent it from engaging the crew during their descent to the ground. It was an act that cost the Major her life on 08 MAY 2041. Major Bartholomew was played by Jennifer Garner. 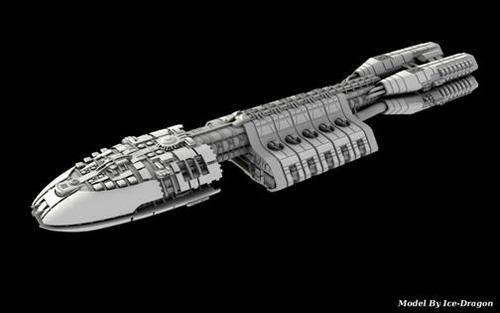 Below are images from a different ship, but are nonetheless high quality shots for a very high quality ship model. Bravo to the designers and authors.